Gunn Brook Farm is a 100 acre boarding and training facility located in the Northwest corner of Connecticut, in Cornwall Bridge. 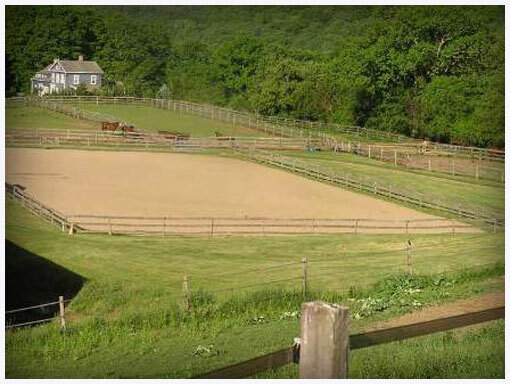 The farm consists of an outdoor arena, indoor arena and round pen for training and exercising. We have six grass paddocks, 3 large pastures, and accommodations for 25 horses. Our primary focus here is providing your equine friend with the best care possible in a relaxed and friendly environment. We also provide riding lessons, training, horse shows, summer camp and breeding, foaling and lay up services. We welcome all breeds and all disciplines 365 days a year. The farm is owned and run by Marianne Pirotta and George Boyle. Marianne has spent her life riding and caring for horses with her primary interest for the past 18 years being breeding and raising Quarter Horses. She gives riding lessons in both Hunt seat and Western from beginner to advanced riders. We can take you showing, get you started riding or help you improve your current skills in a low pressure atmosphere. Stop by as visitors are always welcome. Design © 2007-2017 @ P5Media All rights reserved.